Magnolia Ice Cream was just in time for the beginning of summer when they invited us bloggers last Friday, April 1st for a party to introduce their frozen delights. The event was held in the elegant Executive Dining Room of San Miguel Corporation in Ortigas Center. When I received the invitation, I thought to myself how could I ever say no to Magnolia. Apparently, I grew up eating delectable ice cream from Magnolia. The pinipig crunch was particularly my favorite. My summer is simply incomplete without getting frequent tastes of it. When I said yes to the invitation I knew I was in for some treats and I was right. There were plenty of surprises from the party itself. Magnolia relaunched 4 frozen delights and introduced its new Spinner during that awesome night. The spinner which is an ice cream cone with chocolate ripple topped with nuts that comes in flavors of chocolate and vanilla sold at 20 pesos each, the fun bars which are ice cream sticks dipped on chocolate which comes in a variety of colors depending on their flavors sold for only 10 pesos each, the sweetie bites which are also ice cream on sticks but with special inclusions such as cookies or cheese and that comes in flavors of cookie craze or cheesy bliss sold for only 11 pesos each, my ever favorite pinipig crunch sold for 13 pesos each and lastly, the popsies which are ice lolly ice creams that comes in choco cool flavor or orange hill sold for 10 pesos each. We were stuffed after we enjoyed the sumptuous dinner buffer prepared for us before the program even began. We were served with pasta, tacos, taquitos and a lot more. The Velasco Brothers performed for the opening which awakened the excitement and thrill from everybody in the event. My eyes were wide opened as I witnessed their performance live. It was really good to say the least. The party was hosted by Rizza Diaz and after the dance performance of the Velasco Brothers, an introduction to Magnolia was given and then a speech from the General Manager followed. 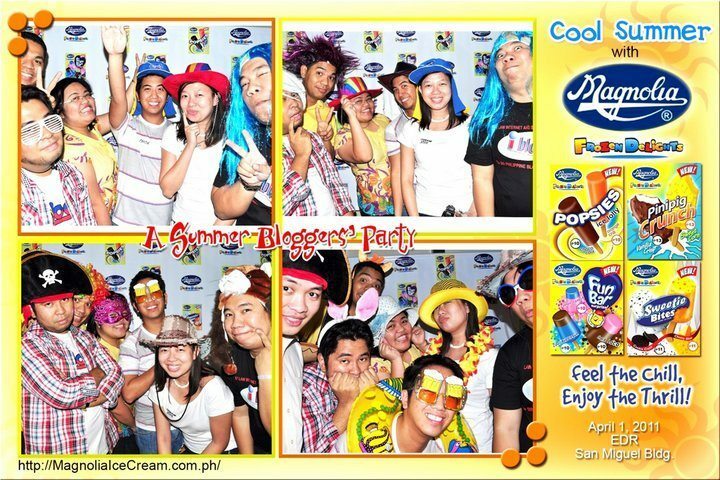 Attending this blogger party is such a fun experience which made me appreciate this brand of ice cream even better. I may be all grown up now but I am still kid at heart when it comes to my favorite – Magnolia Ice Cream. yum those ice cream! 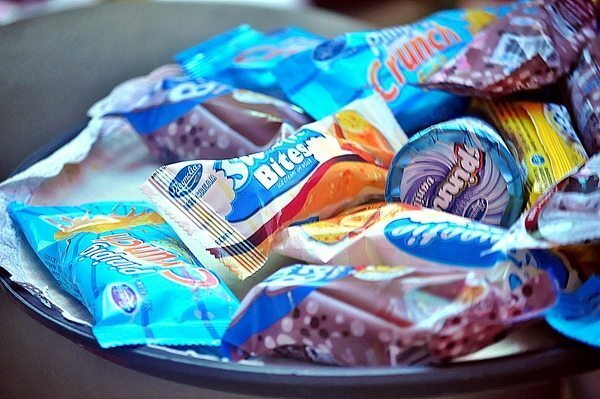 they brought back the classic ice cream on stick that I used to love when I was younger. The popsies, pinipig and cheese are my one of my favorites. Curious ako sa fun bar. Ano kaya lasa nun? Ang sarap naman ng Summer! Ice cream makes me happy. One bite of the ice cream and it refreshes my whole body but it’s been a long time since I ate Magnolia’s ice cream. Just saw this one! Perfect for summer. Gotta get some of my fave Pinipig crunch and try out the new Fun Bars! 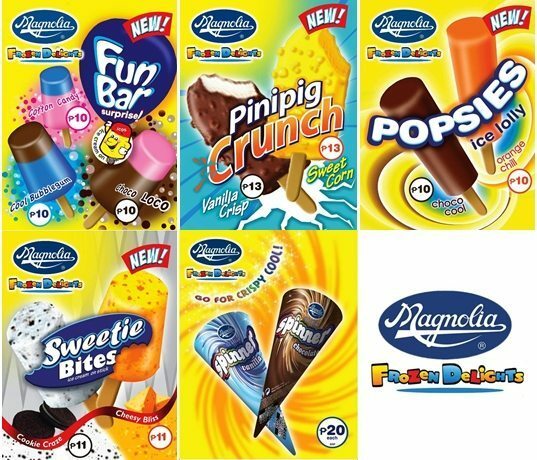 Oh, forgot to ask, would you know if they still had that old Magnolia plant/Ice cream parlor along Aurora Blvd ba yun? Grabe, kakamiss yun! wow! you’re so lucky that you get invited to events like these! i hope we can also have gatherings here in bacolod! Magnolia never failed to delight us with their ice cream flavors and variants. It’s a pity I don’t live in Manila! I would have loved to be in that event!